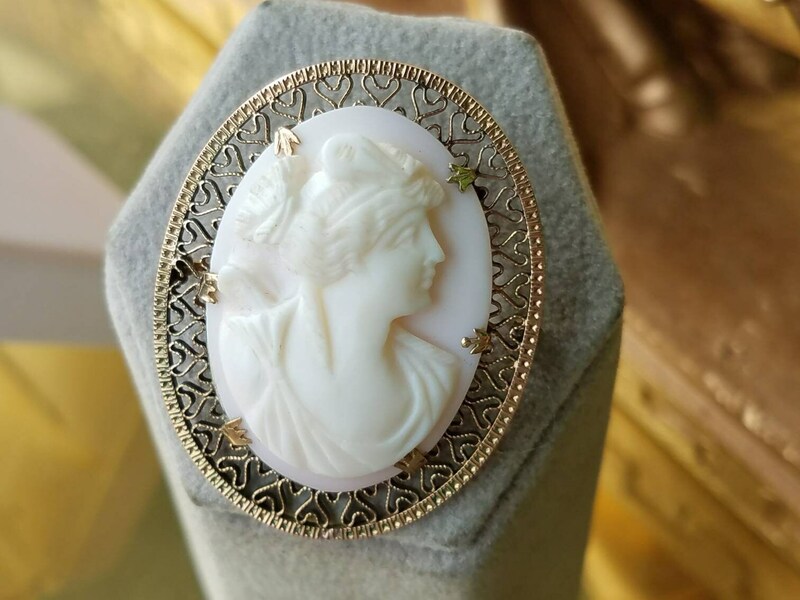 This Victorian brooch is 10K yellow gold, with the cameo face carved from coral. 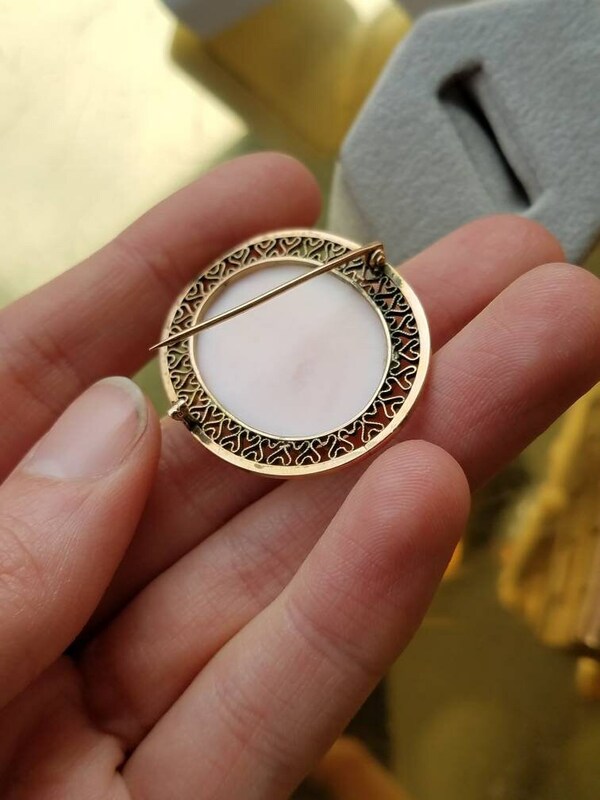 This piece measures 1.5 inches by 1.25 inches. The back is a safety clasp and works perfectly. This brooch is on excellent condition.